The Abusive Men -- Batterer Intervention Program is a team based program to rehabilitate batterers. His Love Heals, Domestic Violence Help™ assists organizations, pastors, rabbis, priests, and other leaders who are working with abusers (and victims) in ending abuse in a family. His Love Heals helps by assisting the aforementioned leaders in handpicking a dedicated team to bring healing to the abuser. The prevalence of Domestic Violence in the United States and other countries is a subject that I encounter often as a Consumer Advocate and Health and Education Research Consultant. I am full of praise and respect for Kelly Ann Evers and her work as an advocate for victims of domestic abuse. Kelly is well-educated on all levels of domestic abuse, both academically and in the field, and her dedication to helping people is inspiring. When the abuser is ready, we are here to help. Some signs to know if the batterer is ready to being the program are: Batterer is willing to sign and follow contract in its entirety of:Abusive Men -- Batterers Treatment Program, Pastoral Counseling, Anger Management Program, Drug and Alcohol Programs, Psychological Counseling. Because this is an individualized program that is specifically designed for each abusers' unique situation, an overall assessment, approval, and plan of treatment is needed. Please contact Kelly to begin. If you are unsure if the batterer is ready, unsure if you are ready to take on this commitment, unsure of how it all works, please contact Kelly. She is ready to help. I have known Kelly for almost 7 years. In the time that I have known Kelly she has always had a heart for women to be healed, restored & know the deep love of Jesus. Kelly has a gift to get into woman's hearts and for them to trust her. Kelly is an encourager and always has words of wisdom when she ministers to a woman in need. 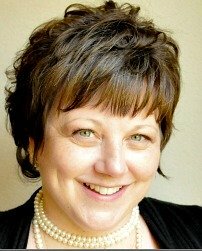 Kelly has had many years of experience dealing with abused women and knows how to reach them. Many lives have been changed because of Kelly's heart & care for women in need. Click here if you need help with: Safety Planning, Living with an Abuser, Preparing to Leave, Creating a False Trail, Packing to Leave, Family Disaster Plan, Cautions for Leaving the Abuser.